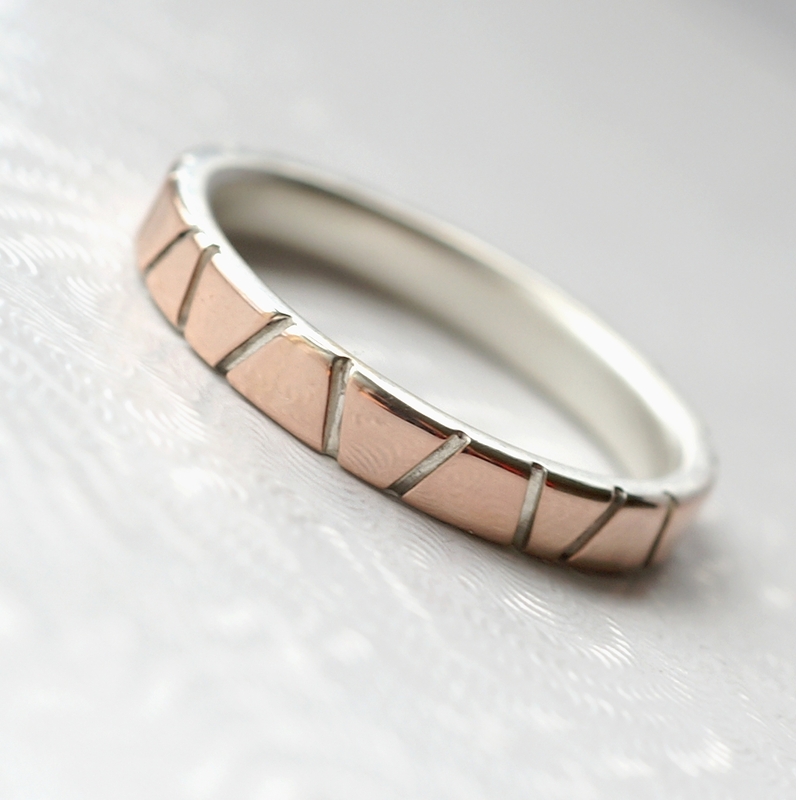 It is made from two layers – sterling silver base and thin layer of solid 14k rose gold. 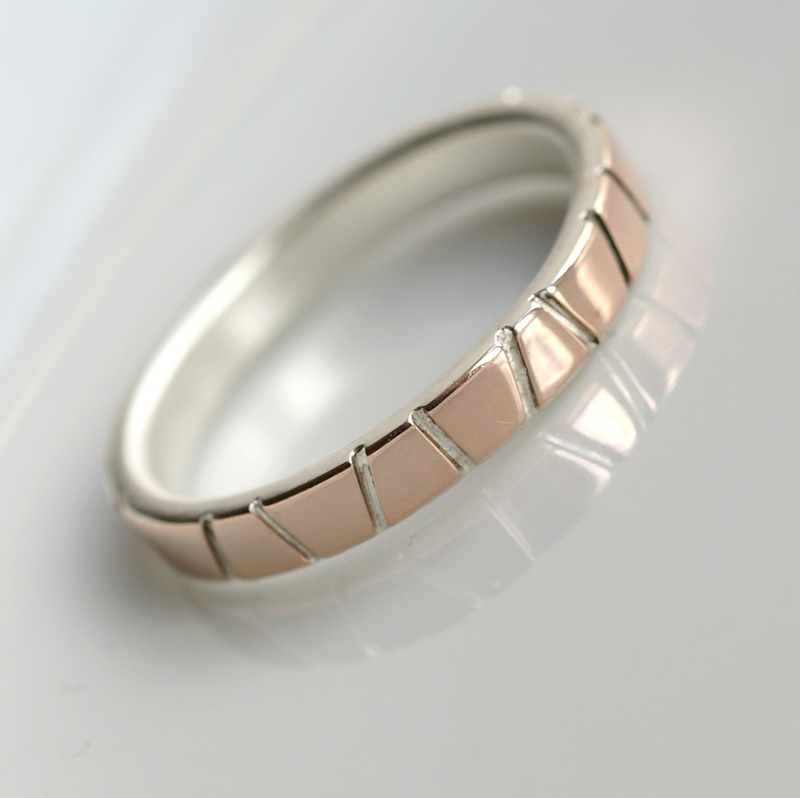 It is made from two layers – sterling silver base and thin layer of solid 14k rose gold. 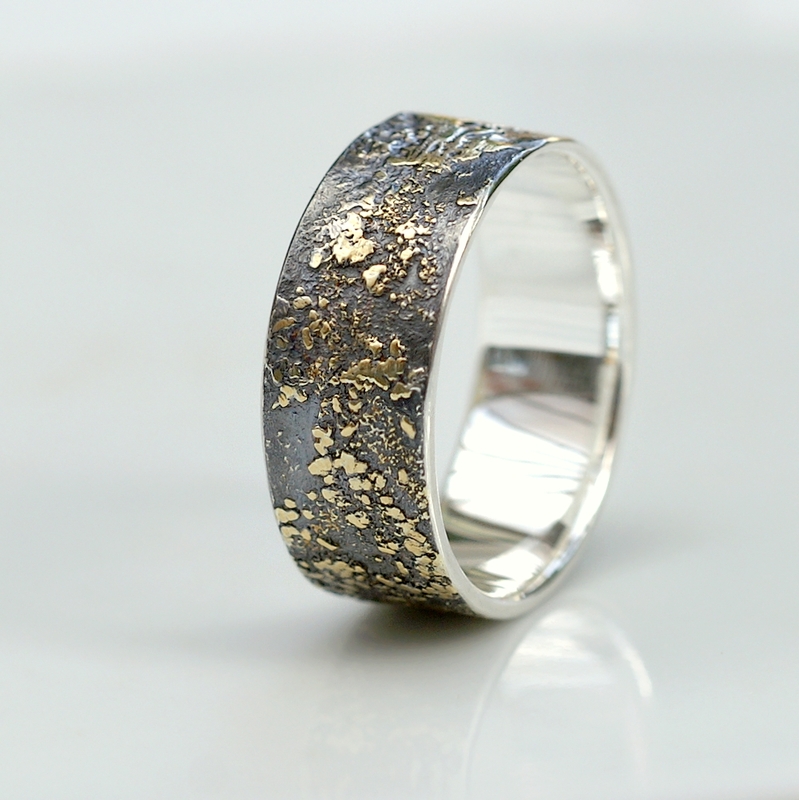 Gold is sawed through to expose silver beneath. 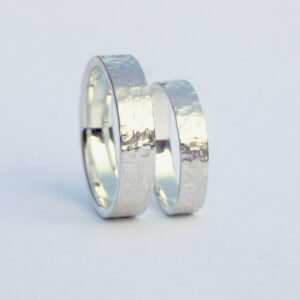 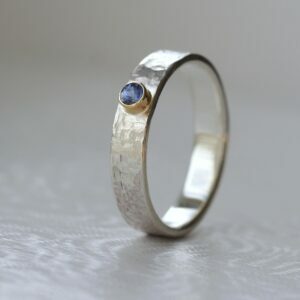 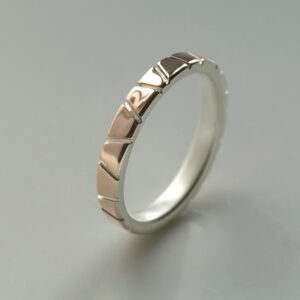 The ring is then carefully polished to remove all unwanted saw marks and soften the texture and edges. 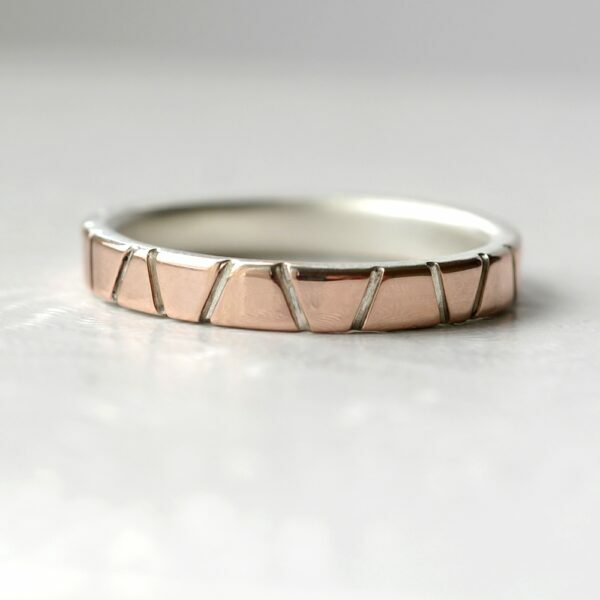 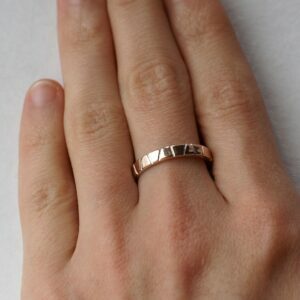 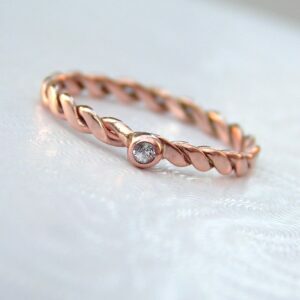 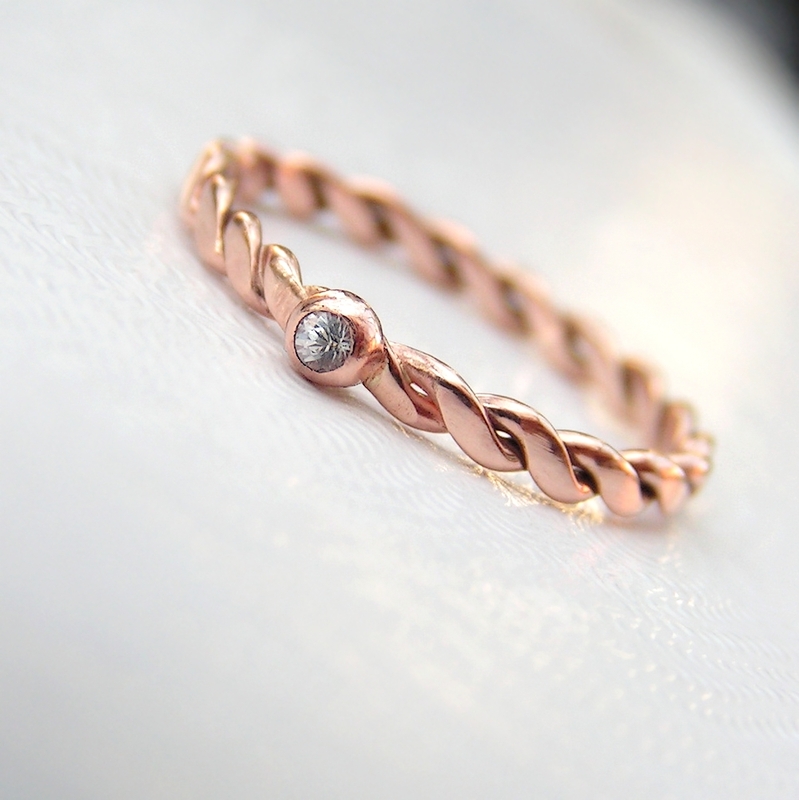 The result is rose gold looking ring, affordable, modern and unique. 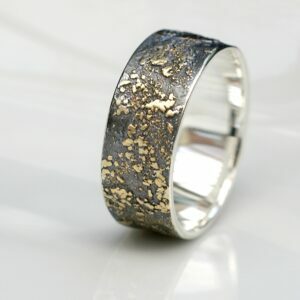 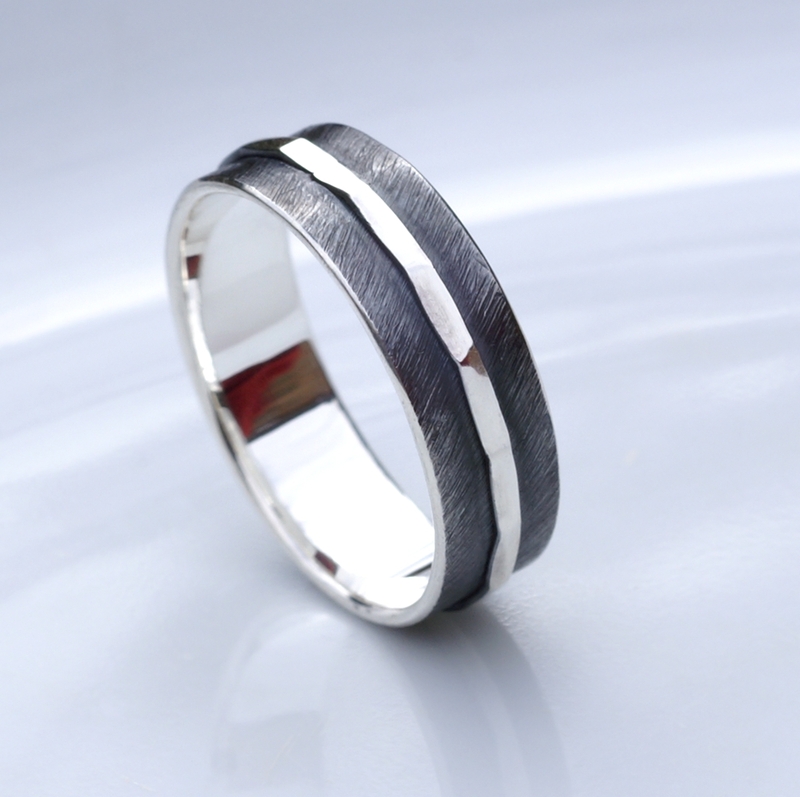 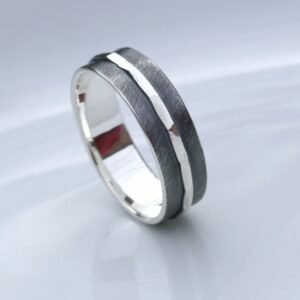 The ring is combination of fine matte (silver) and shiny rose gold part. 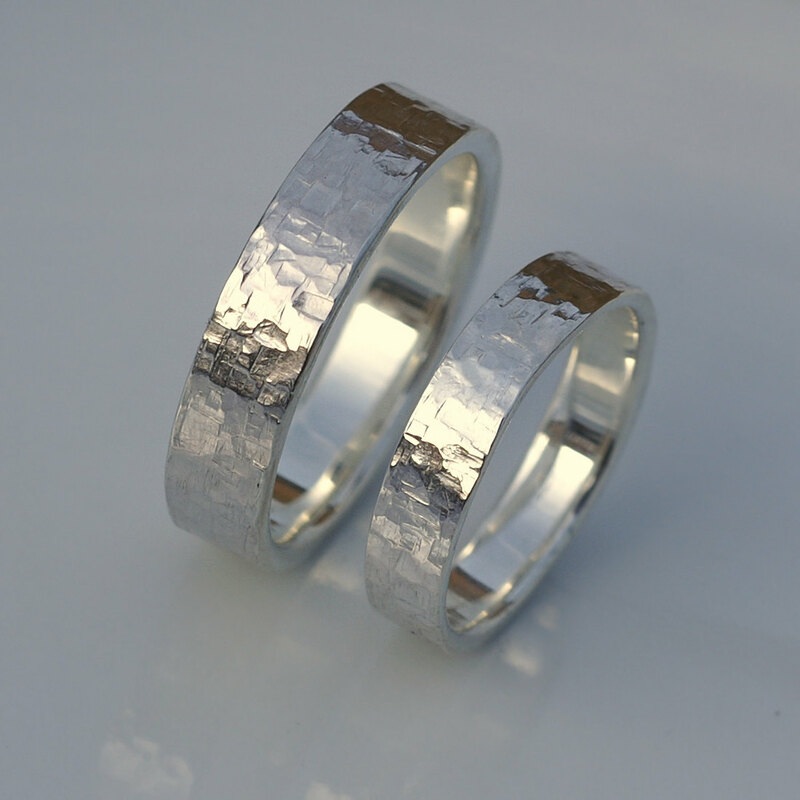 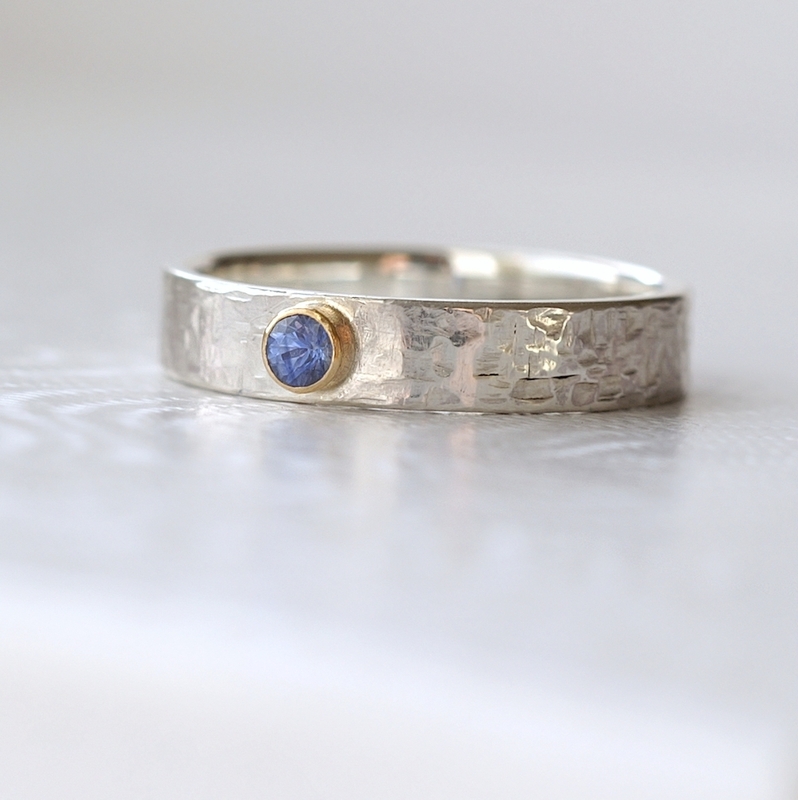 3mm and 5mm rings work well as a matching set.